TM 9-2350-261-10 Table 2-1. 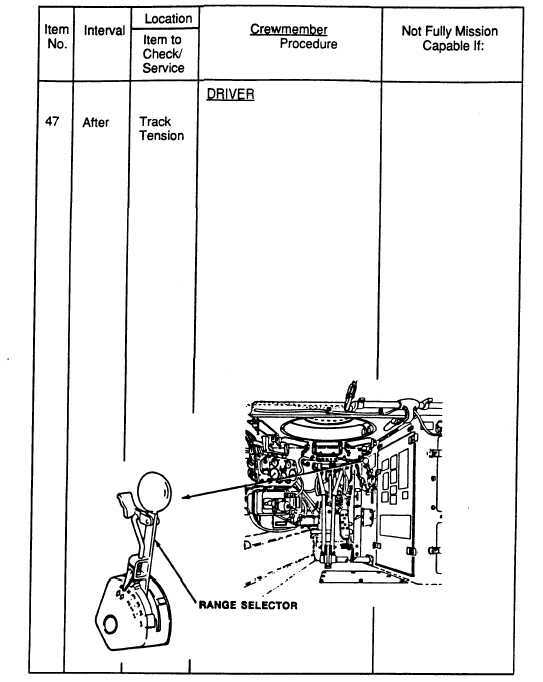 Preventive Maintenance Checks and Services for Model M113A2 FOV Change 2 2-89 W A R N I N G Area in front of carrier must be clear and level before coasting stop. NOTE Drive carrier onto hard, level ground. Shift range selector to N range and let carrier coast to a stop. Do not use brakes. After carrier has stopped, shut off en- gine and exit carrier.